Generally very refined. Quick and loses nothing of the conventional A3 understated class. 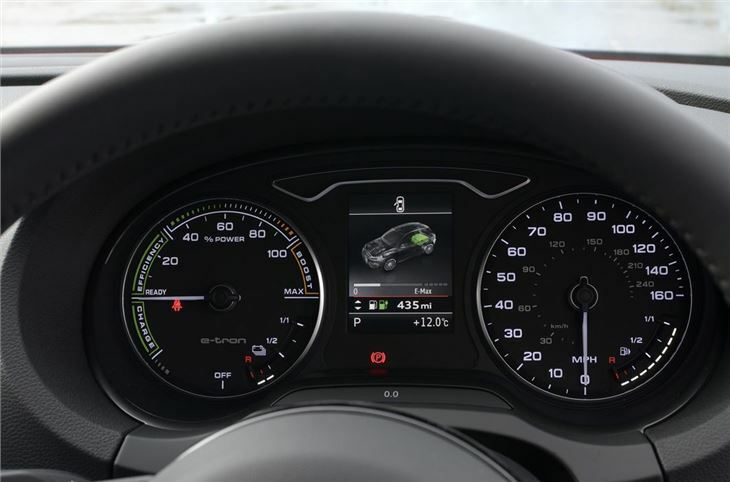 Fuel-free mileage potential is alluring. Ride quality and tyre noise issues are thorns in its side. Loss of some boot space may be a problem for some. Real world running costs could be substantial with high daily mileage. The Audi A3 Sportback e-tron builds on this base to produce a car with all that, plus the sort of claimed fuel economy and CO2 emissions figures that were the stuff of Anita Roddick’s fantasies not too long ago. 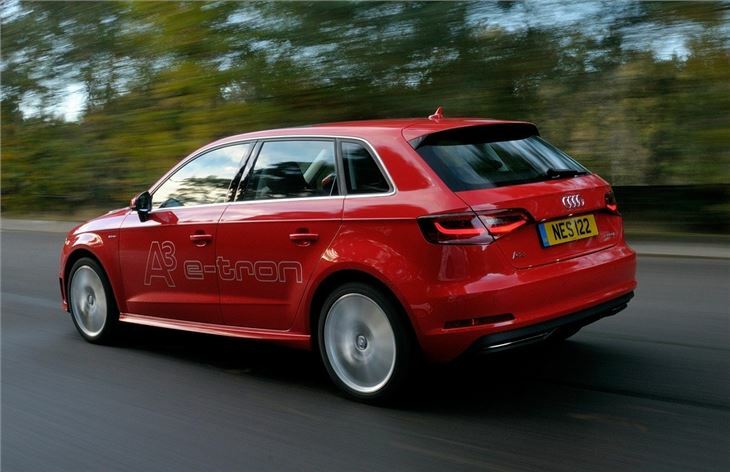 That concoction, thinks Audi, makes the e-tron a very edible cake in a very niche market: there were only around 5000 cars of this type sold in 2013. ‘Cars of this type’ are petrol-electric hybrids, though not of the same sort that, say, the Lexus CT200h is, which allows electric driving only in very specific low speed circumstances and for a very short time. 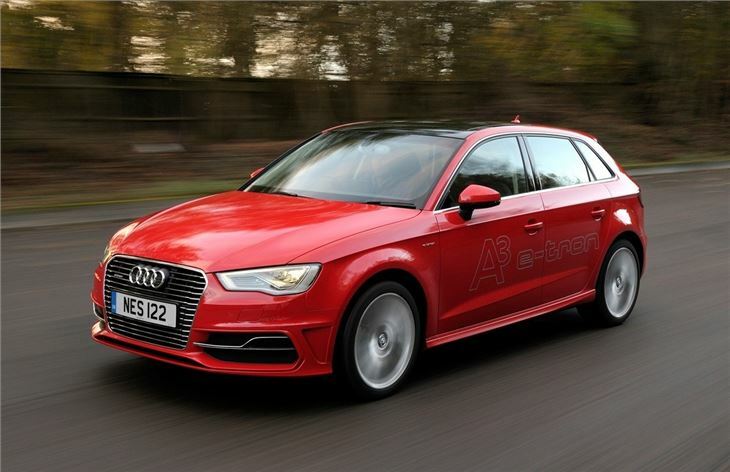 The A3 e-tron is the sort of hybrid that plugs in and could, in theory, never tap into its fuel tank. 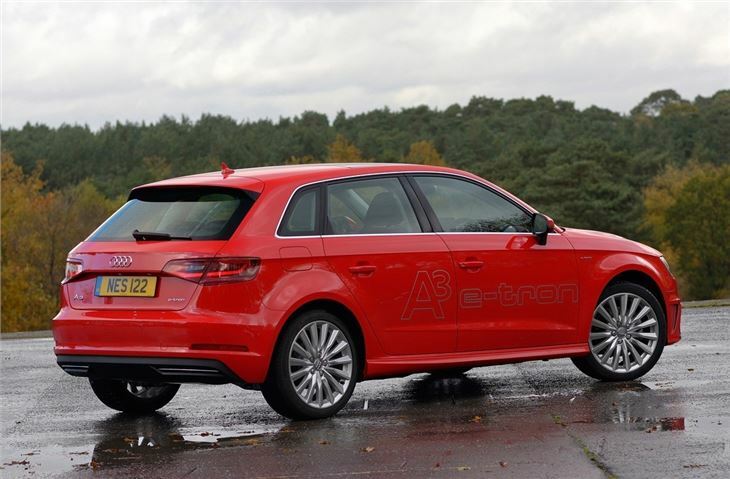 It’s the same setup found in the Volkswagen Golf GTE, though in that application it’s very much an aid to eco-conscious performance, whereas Audi sees the A3 e-tron as a refined and futuristic diesel-killer. 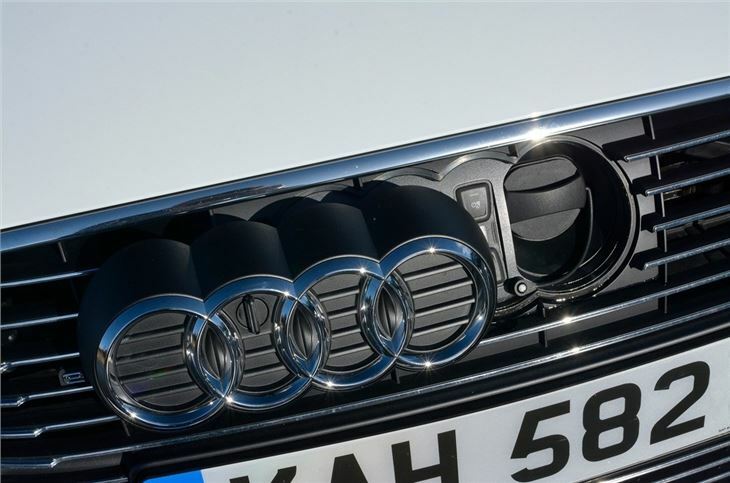 A look at the figures makes it clear why Audi feels that way - 37g/km CO2 and 176.6mpg claimed average fuel consumption. And it has 204PS channelled through a six-speed dual clutch automatic gearbox, so it can hit 62mph from nought in 7.6 seconds. That’s what Audi calls progress. And because it’s an electric car, it qualifies for the government’s £5000 electric mobility grant – which is a good job, because the list price for this fancy hatchback is just shy of £35,000. You won’t pay annual VED for your digital tax disc, at least, so there’s a few bob saved. 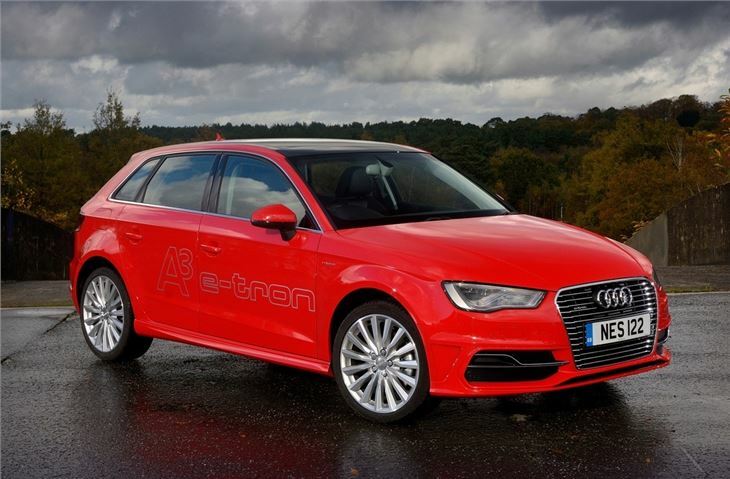 Unlike the rest of the Audi A3 range, the e-tron is only available as a Sportback and with one trim level. As befits the price, however, it dishes up a lot of equipment, including 17-inch alloy wheels, MMI HDD-based navigation with seven-inch touch screen, 10GB flash music storage, DAB radio, two-zone climate control, front sports seats, LED headlights, rear LED lights and plenty more.